Lloyd might have been a little too tender with his firing stick. Jamie Dimon managed to keep his fourth-quarter profit drop to 6.7% by seriously curtailing his legal bills. Mike Corbat and James Gorman managed to keep things relatively tight by firing a bunch of people. 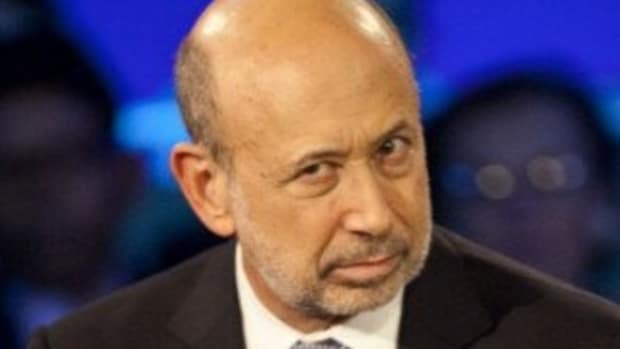 Lloyd Blankfein’s invitation to everyone on the trading floor born before the Reagan administration to pack their bags for Salt Lake City or Warsaw—or to just pack their bags? Less effective. The New York-based bank’s first-quarter net income fell to $1.14 billion, or $2.68 a share, from $2.84 billion, or $5.94 a share, a year earlier. Trading revenue fell 37% to $3.44 billion from $5.46 billion in the same quarter a year earlier. In the past week, other large U.S. banks reported trading results that ranged from a decline of 11% at J.P. Morgan Chase & Co. to a drop of 34% at Morgan Stanley. If only they’d gotten out of the newspaper business a little sooner. Worst Quarter In Years For Goldman? Lloyd must have called Satya a thousand times. Lloyd and Co. are pretty much over listening to this broken record. Even Lloyd and Gary might want to just let bygones be bygones on this one. 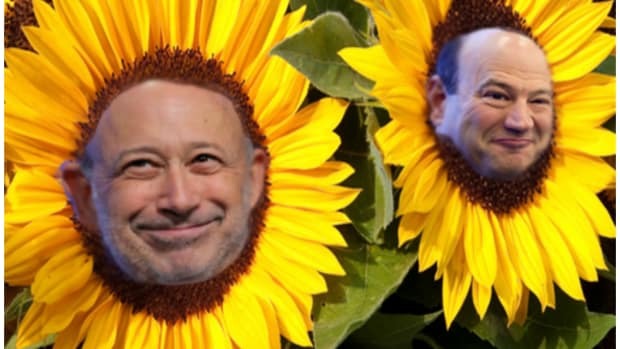 Lloyd Blankfein and The Incredible Shrinking Unit.